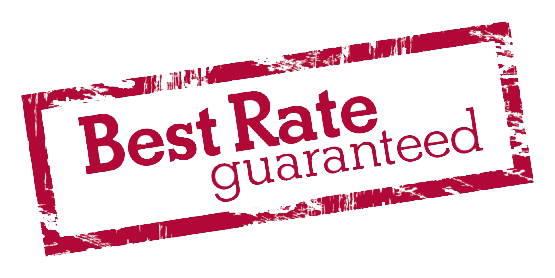 If you find any lender that has a better rate/cost combination, we will match it. If we are unable to match it, we will pay you $500. Run a quote on our residential mortgage site and apply online. We will email your rate alert in real-time before you lock rate. Provide us with a Loan Estimate from any lender. If our closing costs, for the same program and rate, are not lower than the competitor, we will make every effort to match the competitor’s pricing. If we are not able to match the competitor’s pricing, provide us with a copy of your final closing statement to confirm that the loan closed with the competing lender on the terms quoted in their Loan Estimate. We will send you a check for $500. Applies to first mortgage conforming loan programs offered by Land Brothers Mortgage & Realty up to conforming limits $424,100 ($636,150 in high-cost areas). The rate, points, fees, commitment period, and loan program offered by the competitors must be dated and presented to Land Brothers Mortgage & Realty on the day of the offer. Competing offer must be presented prior to locking the rate.